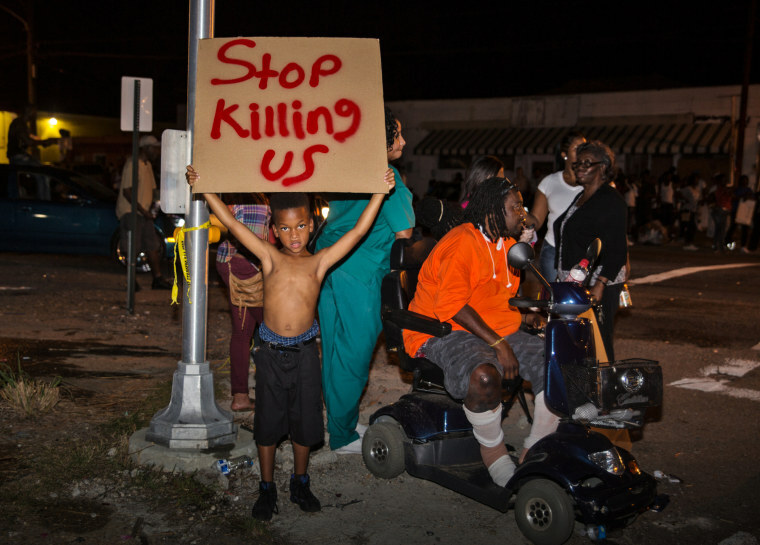 Photographer Julie Dermansky captured a city in anguish after two white police officers shot and killed Alton Sterling in Baton Rouge. 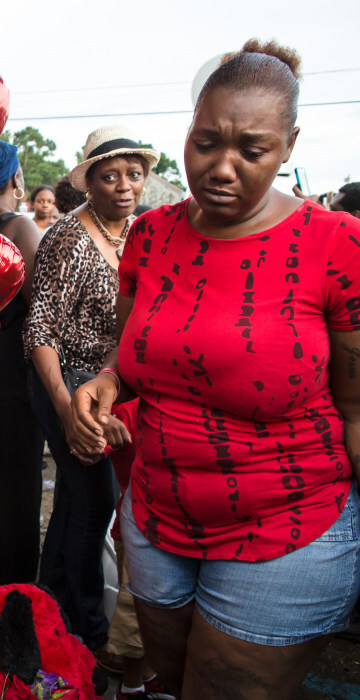 The mourners danced in the muggy night air, beneath the stars and behind a brass band that led a second line parade through a neighborhood accustomed to rituals of grief and celebration. The band played and mourners quick-stepped — some drenched in sweat, some with their heads cocked and their hands held high. A man heaving a gleaming brass trombone shouted out: "Oh, free my people!" The crowd responded: "Let my people go!" 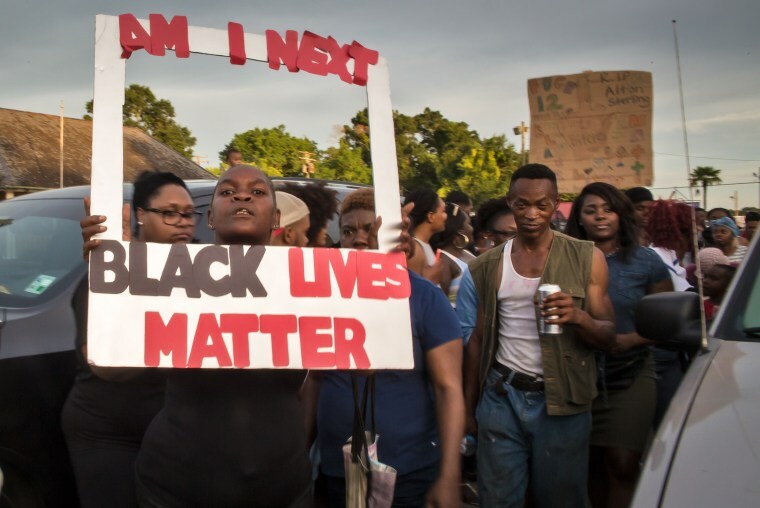 That call-and-response captured the mood in this deeply segregated capital city, where two white police officers early Tuesday shot and killed Alton Sterling, 37, a black father of five. Police say he was armed as he wrestled with the officers outside the convenience store where he sold CDs. The Justice Department is investigating the killing, and the officers have been suspended. 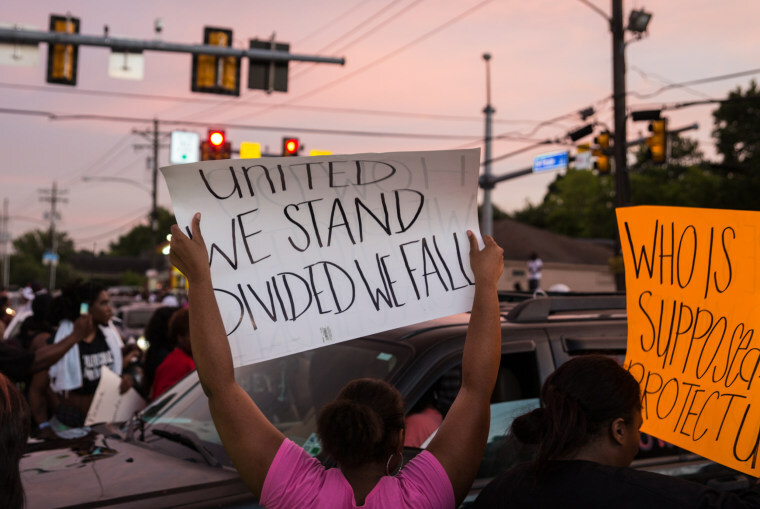 ABOVE: People participate in a vigil for Alton Sterling at the Triple S Food Mart in Baton Rouge, Louisiana on July 6, 2016. 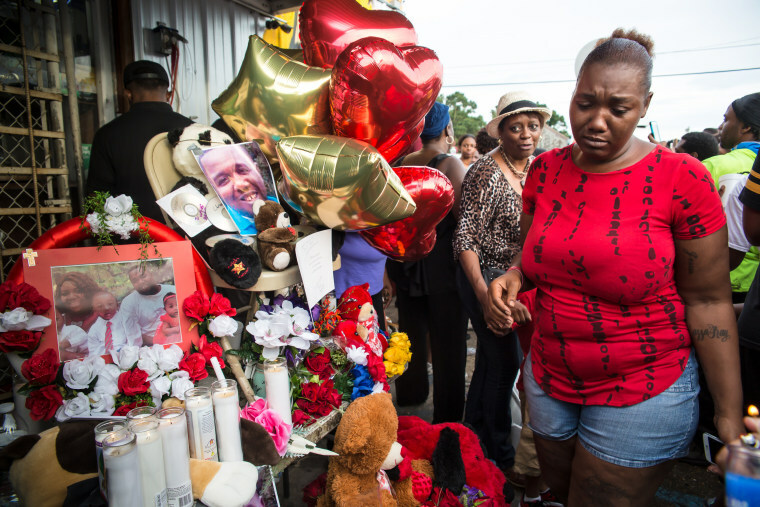 Mourners gather at a memorial for Sterling outside the Triple S Food Mart on Wednesday. The 37-year-old man killed by Baton Rouge police was a good-humored person nicknamed "Big Boy" who was orphaned young, loved children and earned a living selling CDs of music downloaded from the internet, said family and friends who knew him. 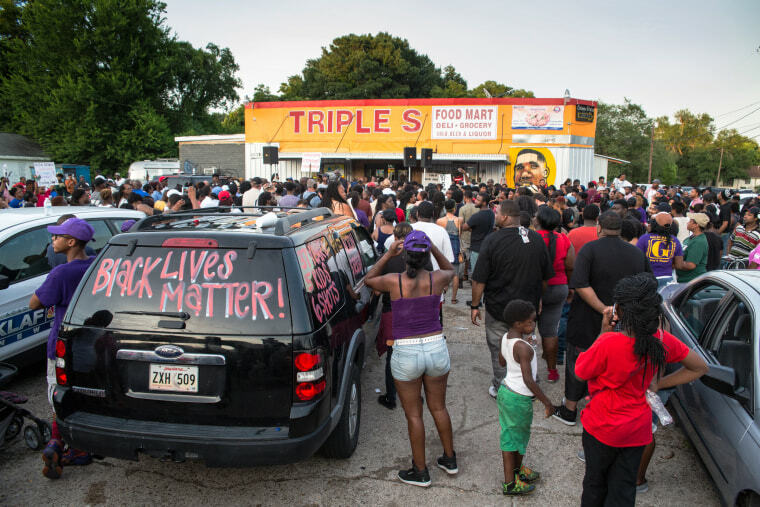 A crowd forms outside the Triple S Food Mart in Baton Rouge on Wednesday. Abdullah Muflahi, the 28-year-old owner of the convenience store where the shooting took place, said Sterling had been selling mixed CDs — rap music and other types of CDs — for a few years outside the front of his store and that he had never presented any problems. 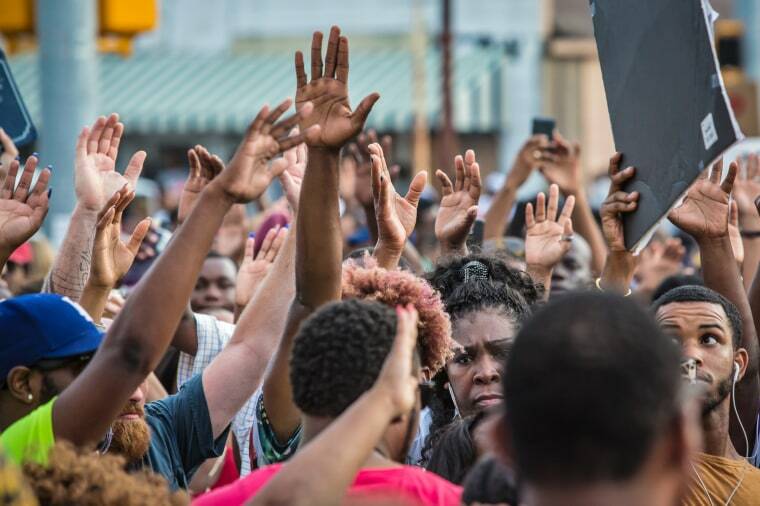 People raise their hands during Wednesday's vigil. 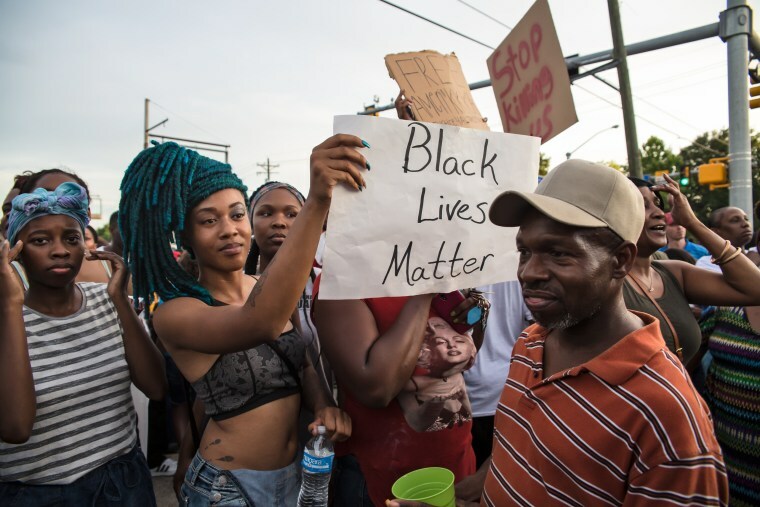 Alton Sterling had five children, 15, 3 and about 10 years old boys, and 1-year-old twins, a boy and a girl, his cousin Sharida Sterling said. 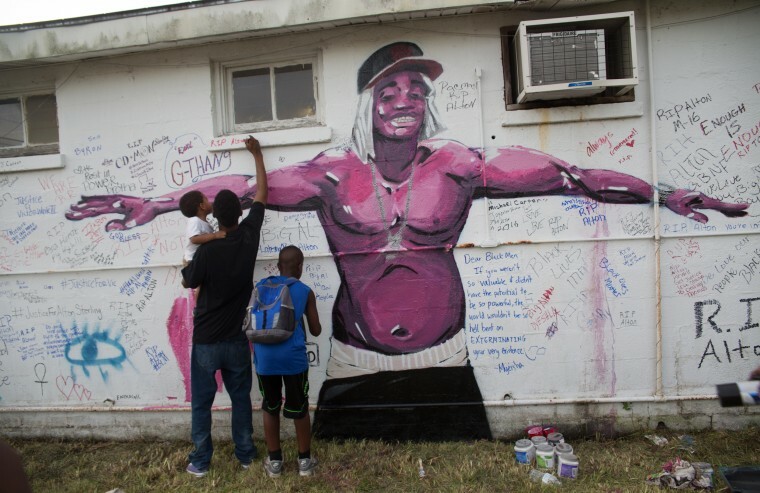 New Orleans artist Langston Allston painted a mural during the vigil for Sterling in Baton Rouge on Wednesday. People protest following the vigil on Wednesday. If ever there were a community ripe for an explosion, it is Baton Rouge. The city of more than 230,000 has all the hallmarks of a place on the edge. It is split on racial lines, with sprawling swaths of poverty and islands of prosperity. It is majority black, but that group has scant access to quality jobs, education and healthcare. 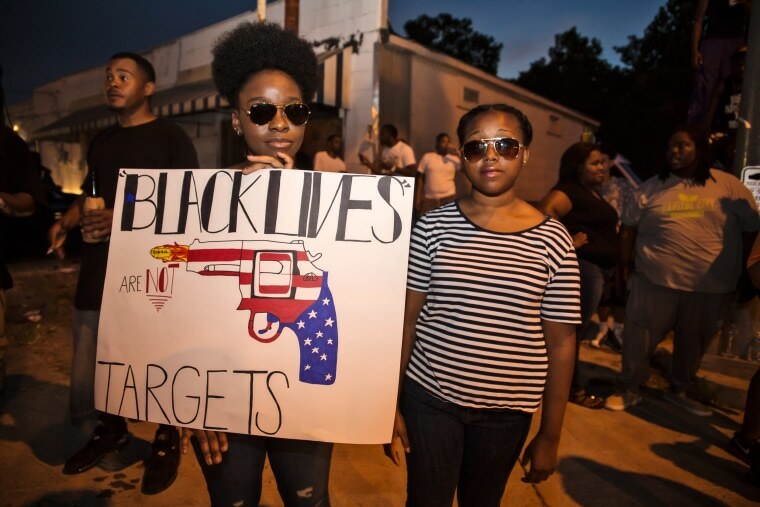 Jalessia Franklin holds a sign at the vigil on Wednesday. 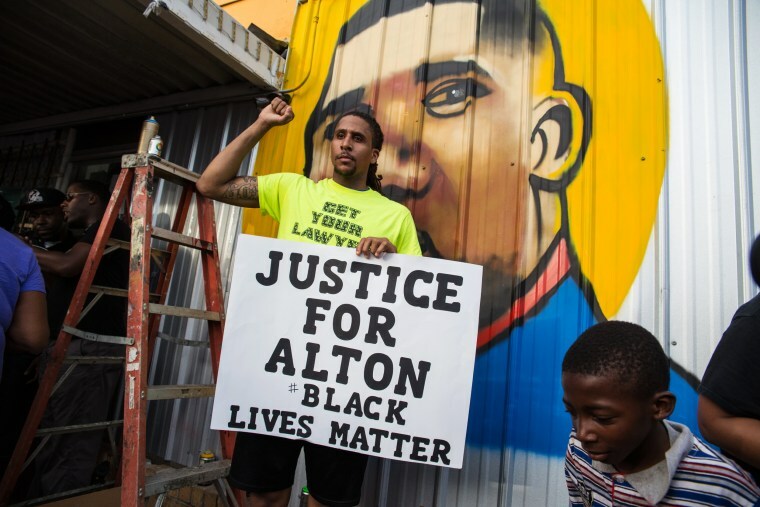 A man stands in front of a mural by artist Jo Hines of Alton Sterling on Wednesday. Terry Boatner, 9, holds a sign during a protest in Baton Rouge following the vigil on Wednesday.